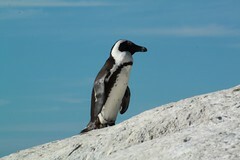 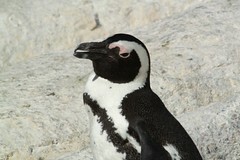 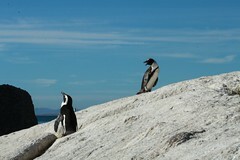 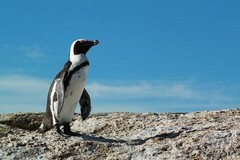 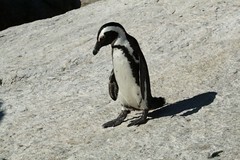 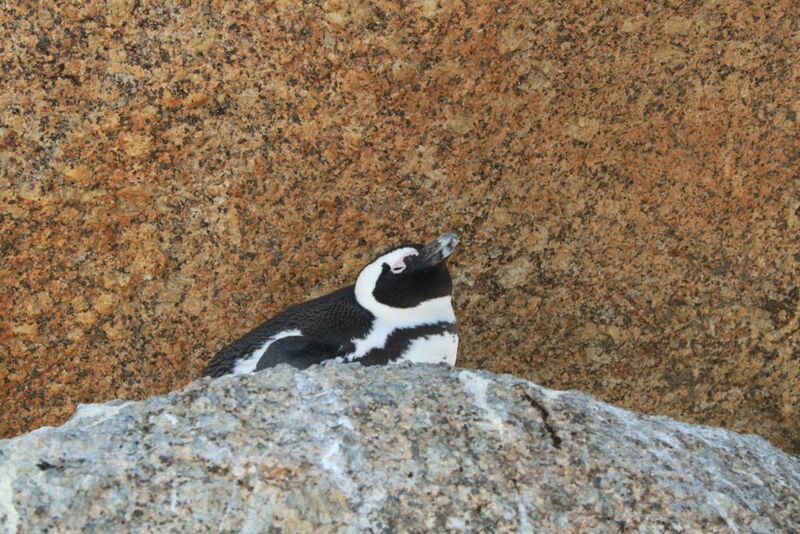 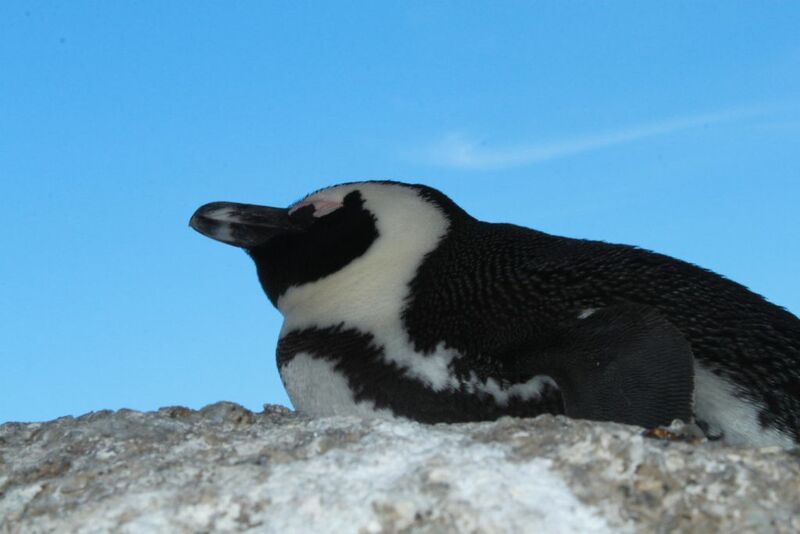 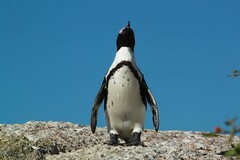 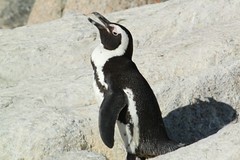 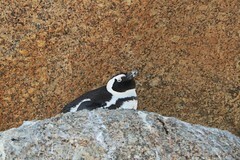 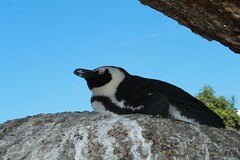 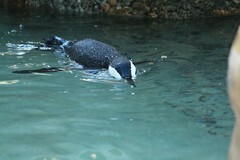 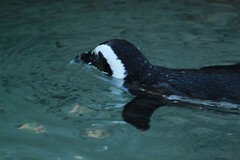 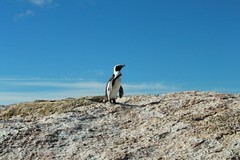 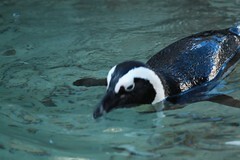 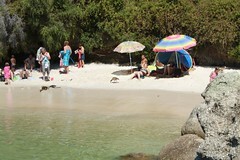 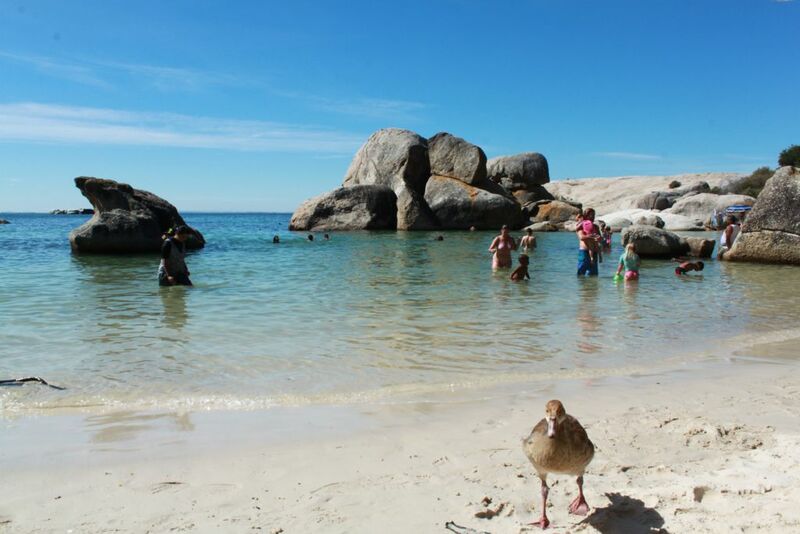 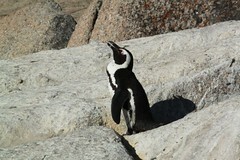 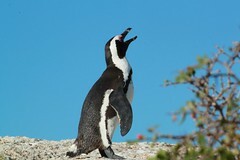 We decided to spend the day relaxing at Boulders beach in Simon’s Town. 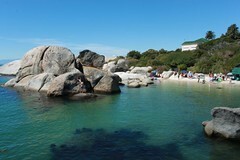 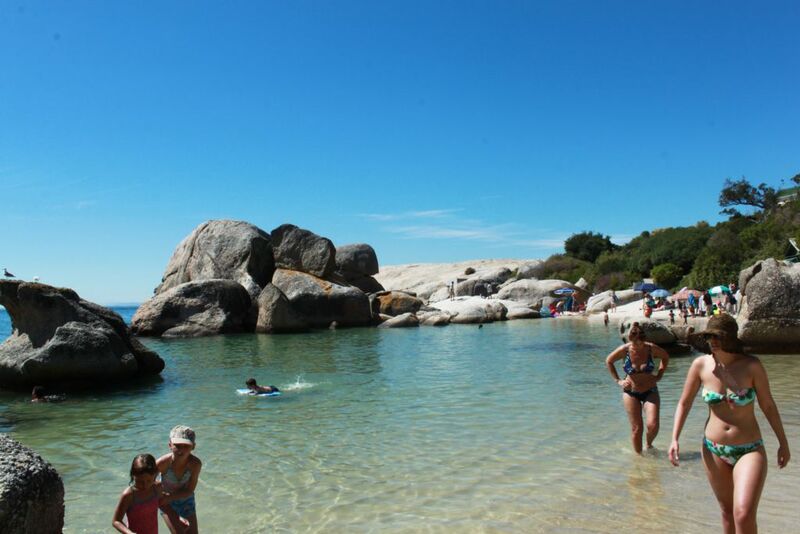 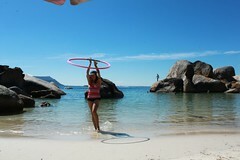 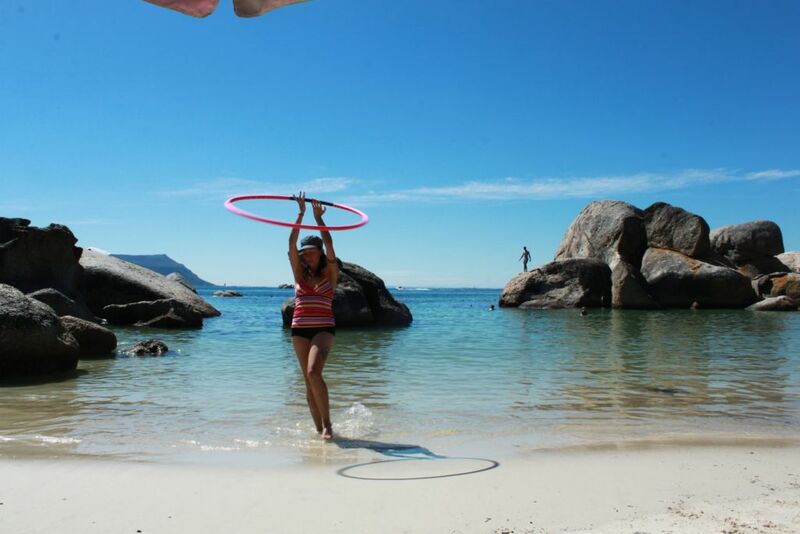 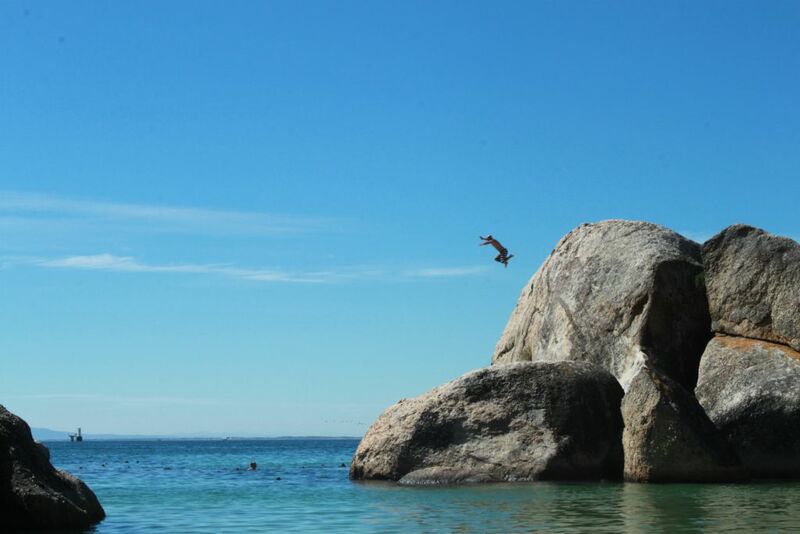 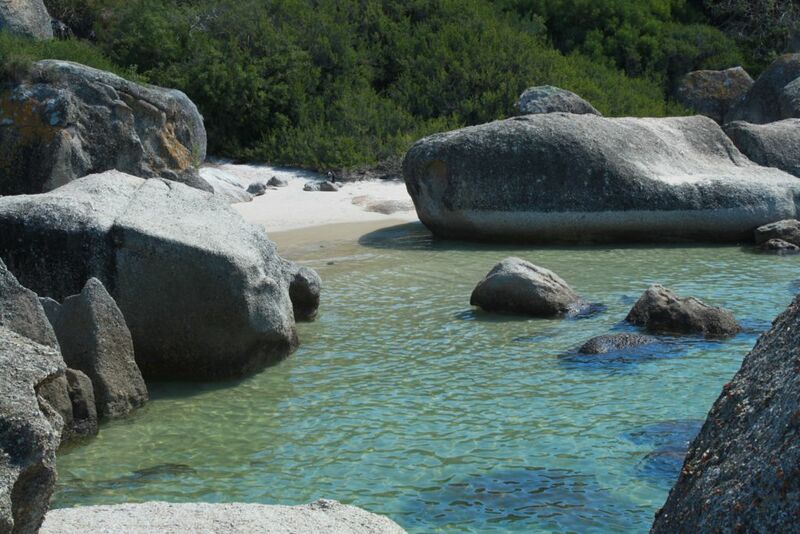 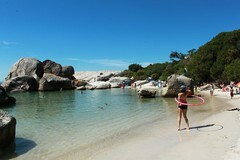 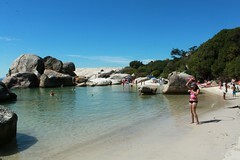 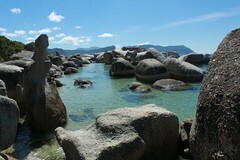 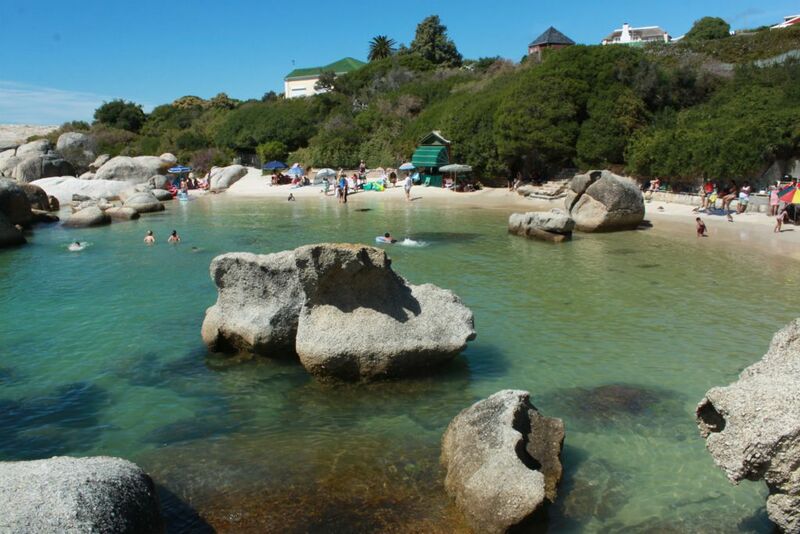 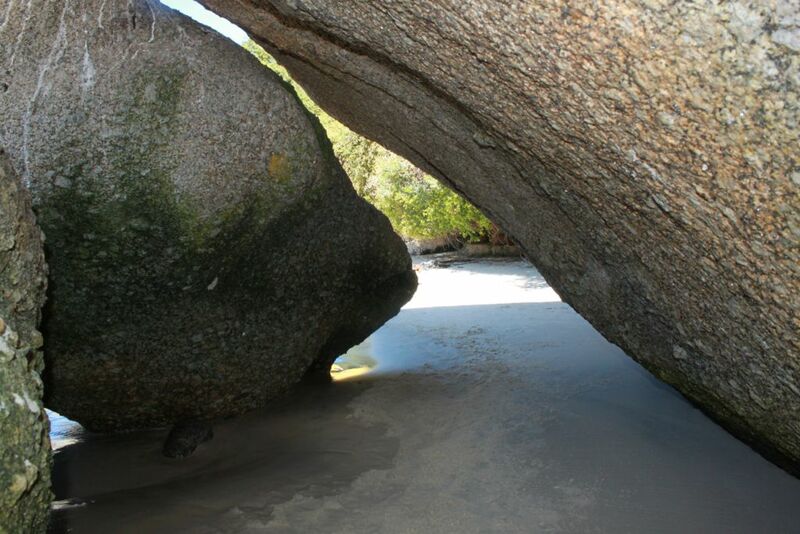 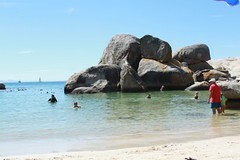 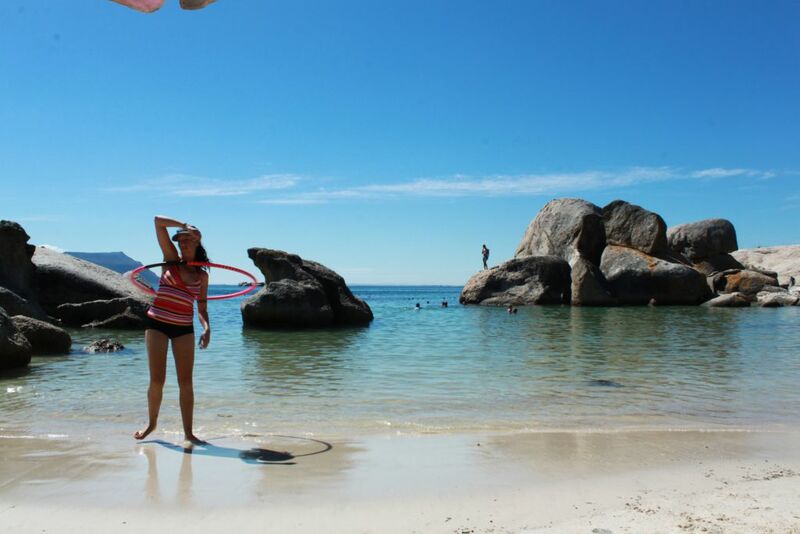 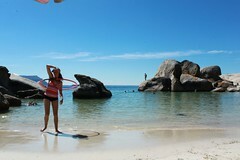 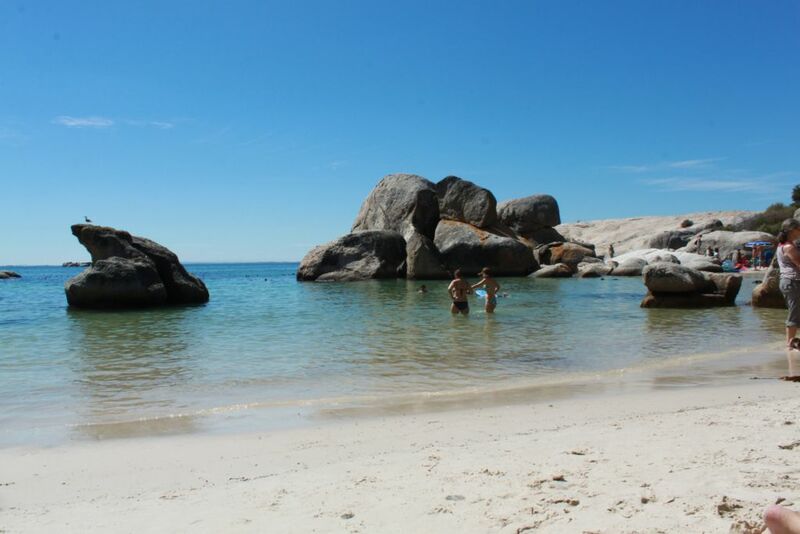 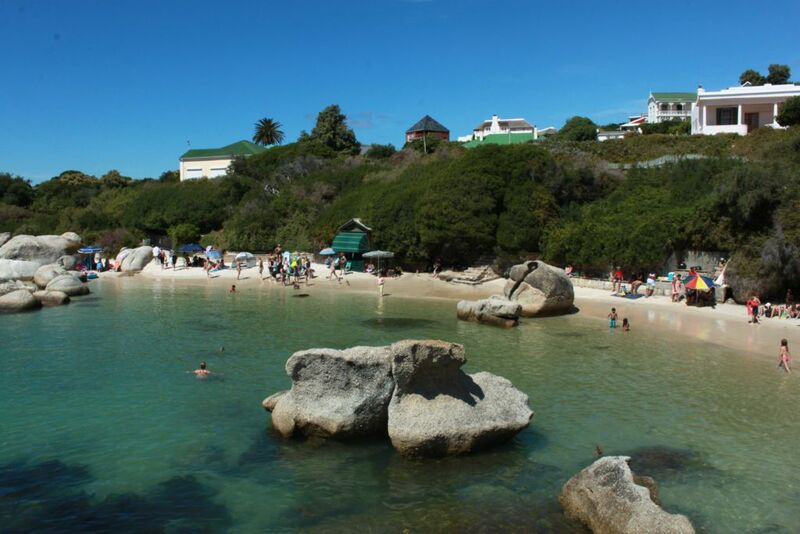 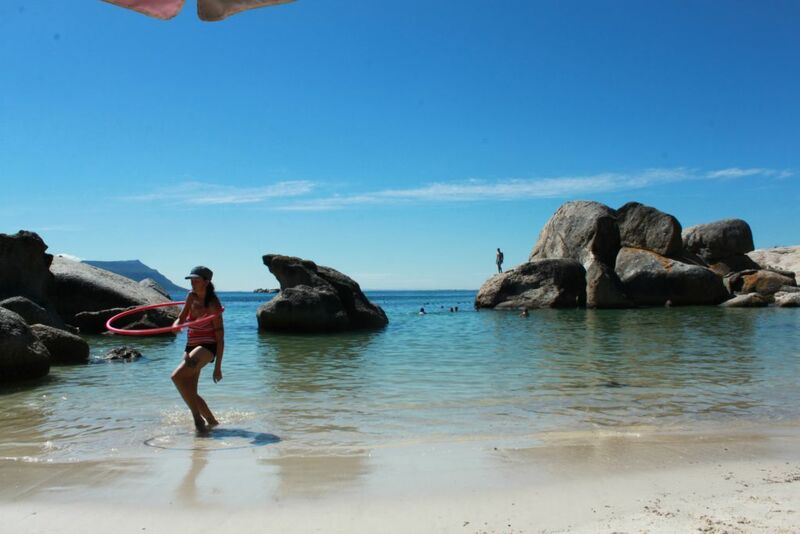 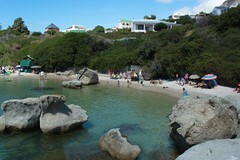 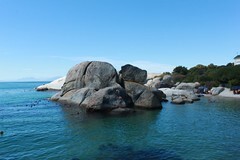 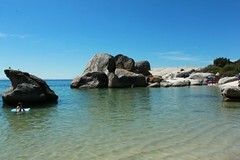 Boulders is definitely one of the most beautiful beaches in Cape Town. 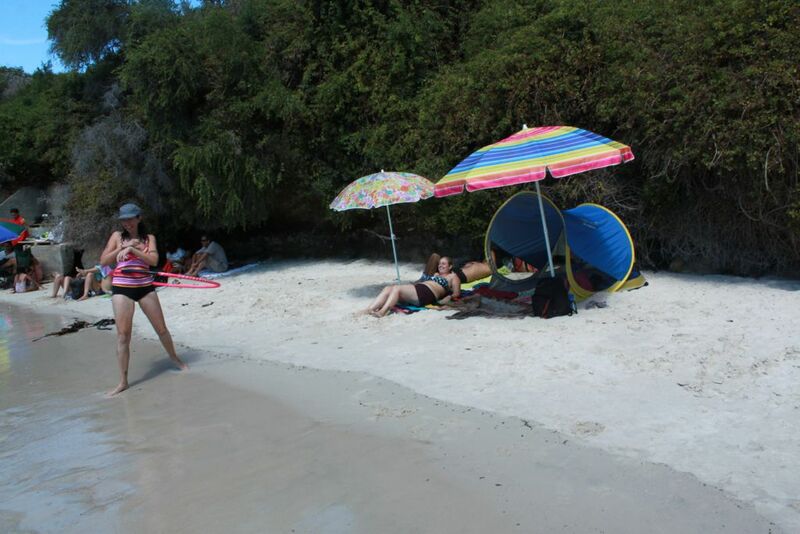 The beach is sheltered from the wind and big waves, and is ideal if you want calm ocean water to swim in. 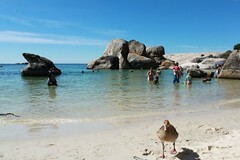 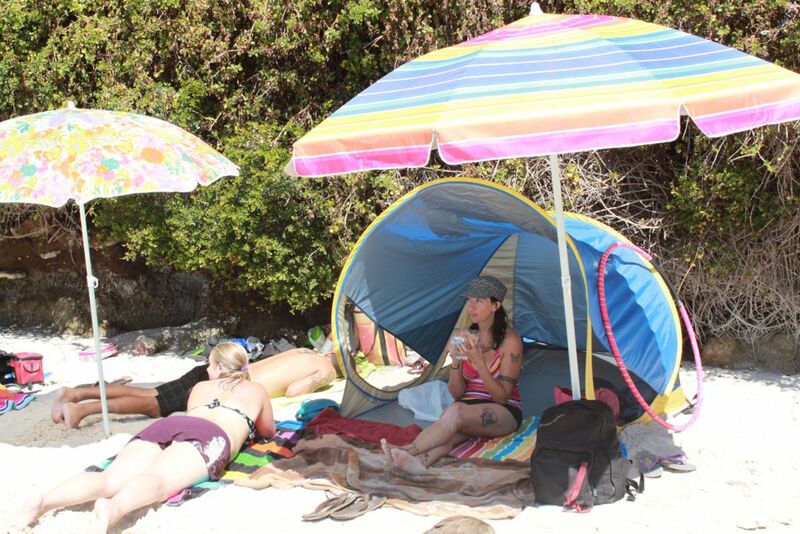 There is an entrance fee to get into the beach area as it is part of the Table Mountain National Park. 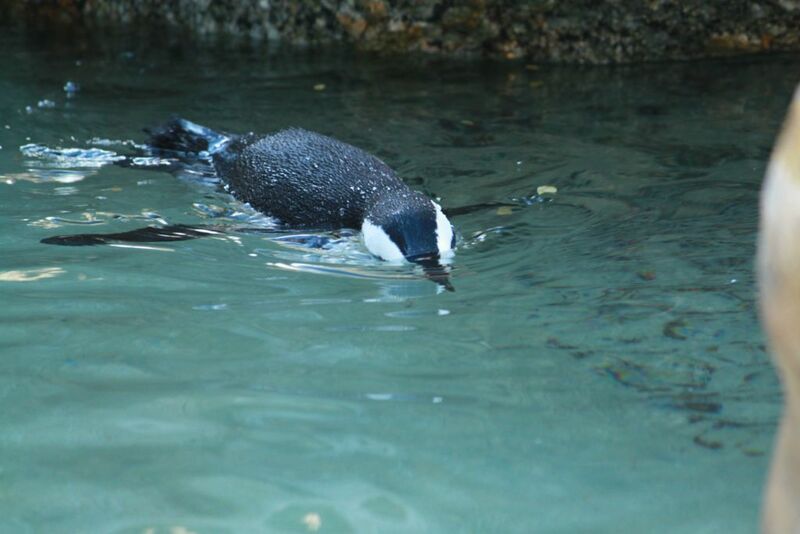 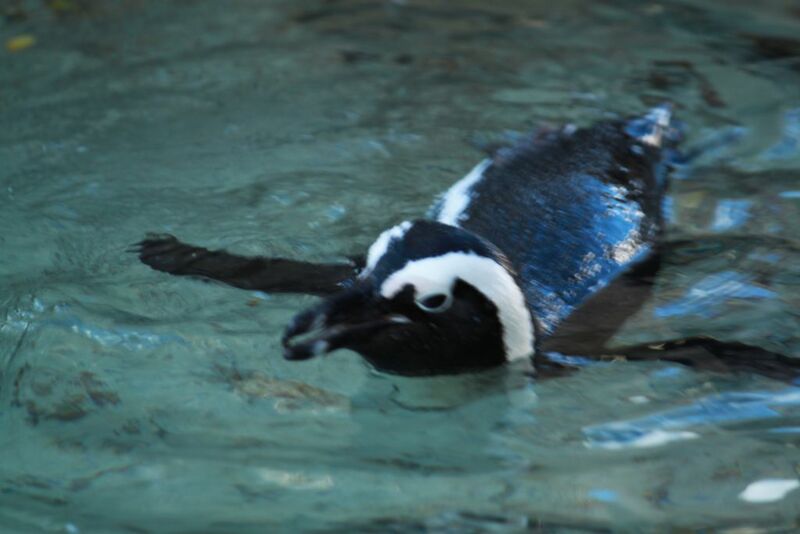 The beach is totally worth it though, and you are quite likely to see penguins on the beach and swimming in the sea near you. 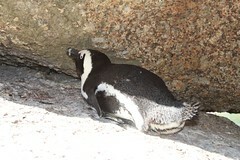 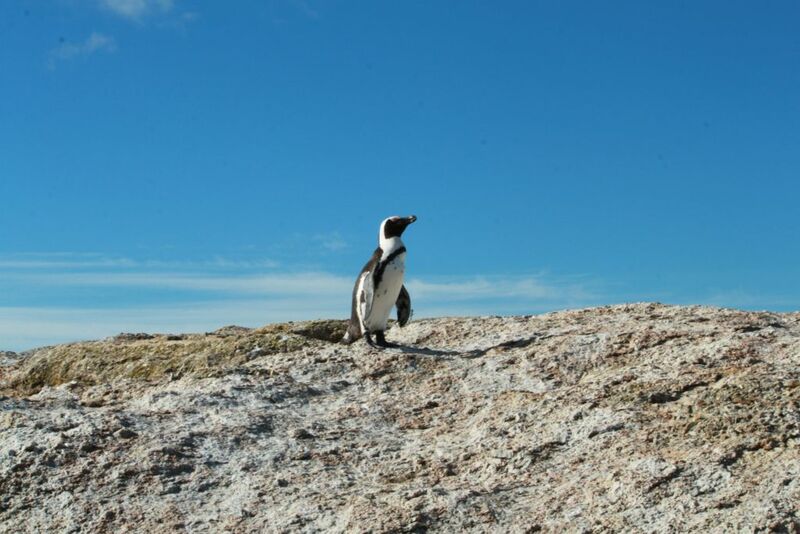 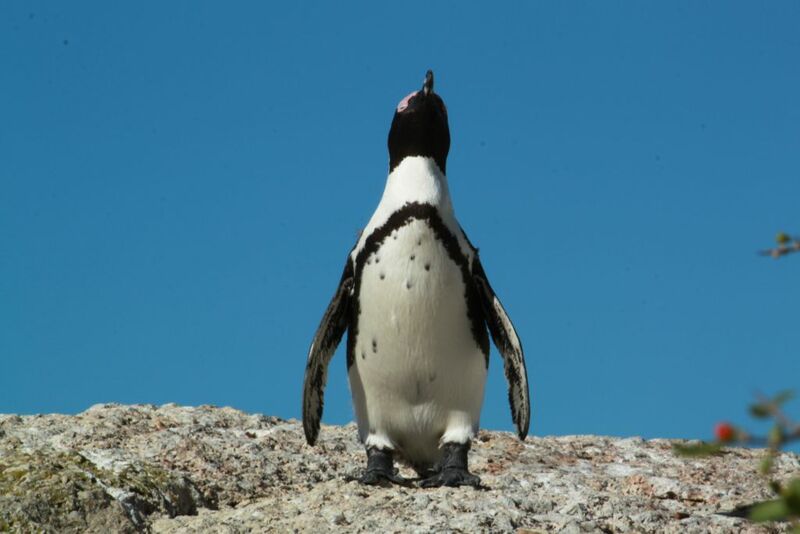 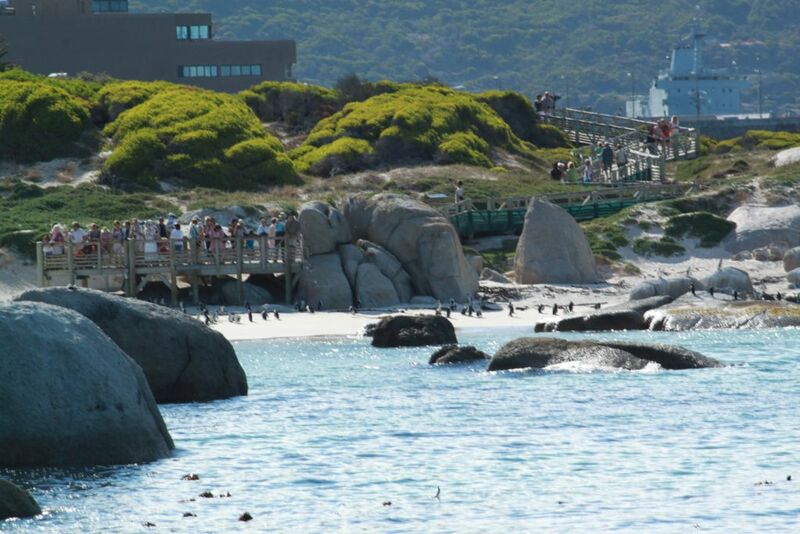 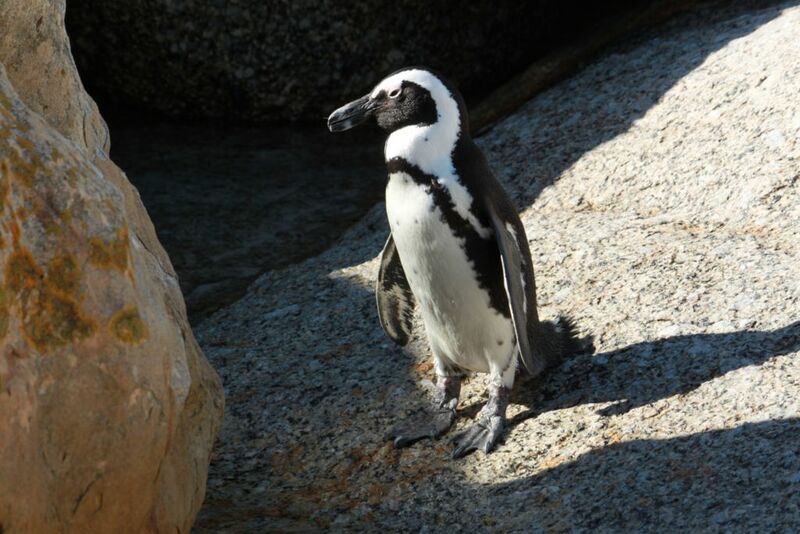 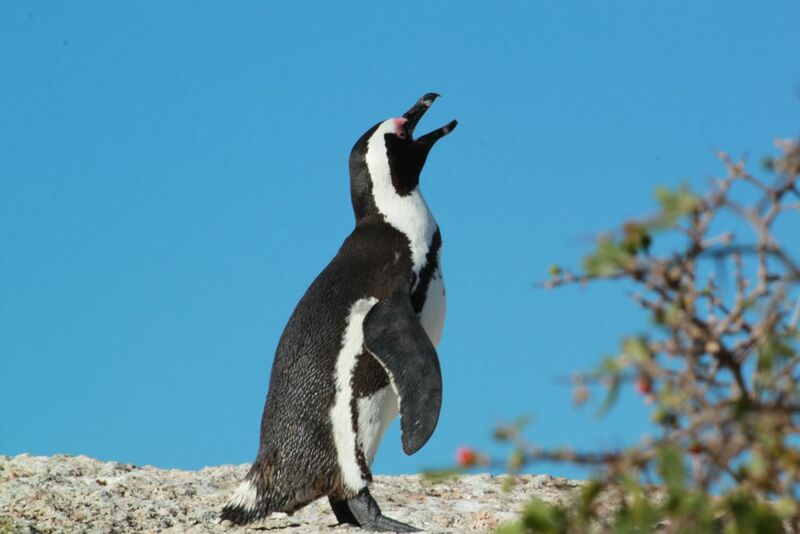 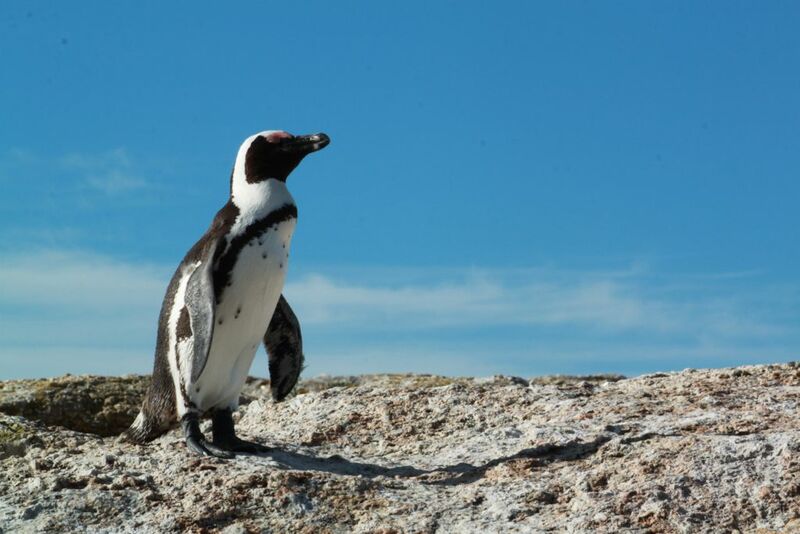 Boulders beach penguin colony is right near the swimming beach, so if you are keen on seeing some penguins, you can walk on the proper boardwalk to see the penguins nesting, and to learn about the penguins in the information center. This beach is just around the corner from one of our other favorite beaches called the Secret Beach. 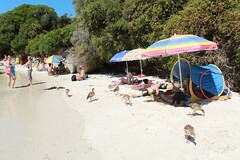 The main difference about going to the secret beach, is you dont pay to enter, there are no penguins, and far less people. 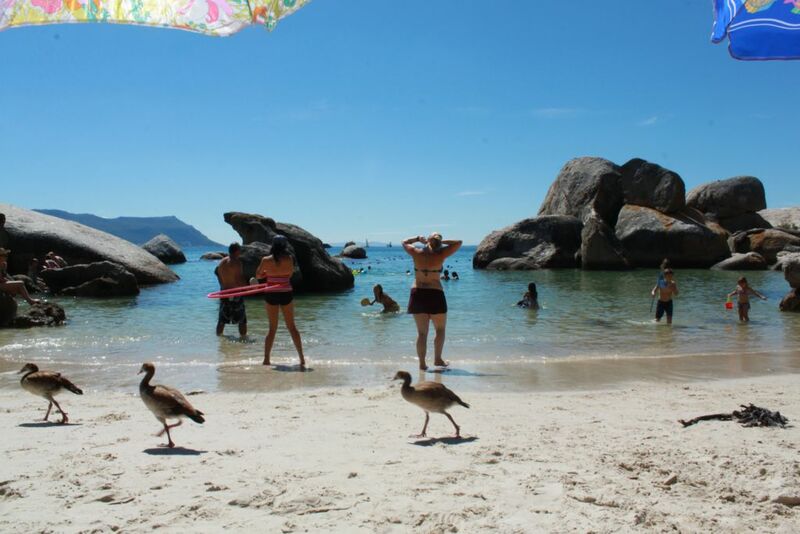 One thing to note about the part of the beach we were on at Boulders beach is that as the tide comes in, there is less and less sand to use. 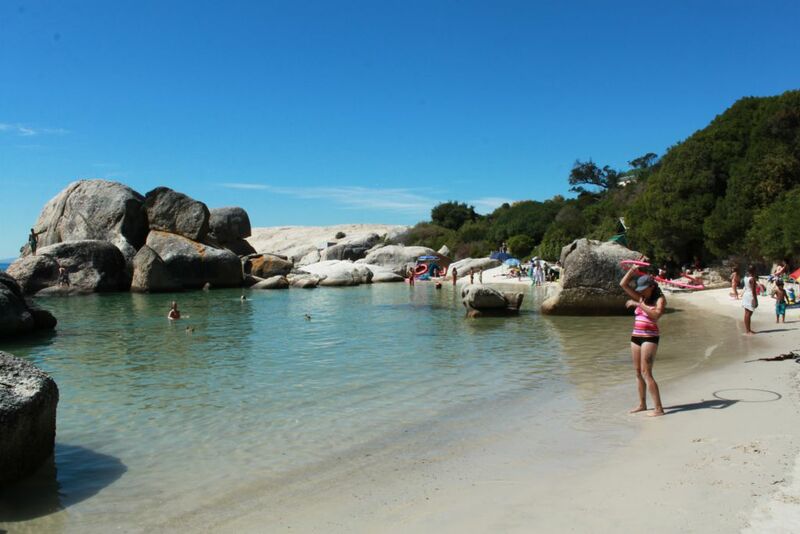 It is a good idea to look up the tide table before you go, to make sure you are there when there is lots of space available.